I had never heard of the concept of urban trail until I came across the information about this event. As soon as I read about it, though, I was sold. Urban trail is a style of running that combines a couple of my favourite things in the world (running and tourism/sightseeing). The whole idea is to enter a running event in a historical or cultural significant area mixing running with sightseeing. Perfect, right? I thought so too. 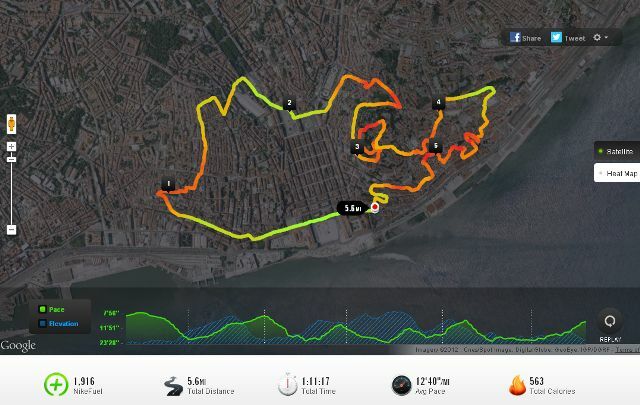 The inaugural Urban Trail in Lisbon took place last month, while I was in Lisbon, proving that somewhere, somehow, the running gods decided to sit around a table and conspire in my favor over a few glasses of Powerade. It was one of the best running events I’ve ever entered (and, as my credit card statement insists on reminding me, I’ve entered a few). Lisbon is my absolute favourite city in the world so running through its historic parts, even with all those awful hills and hundreds of steps, was the best experience this little running nerd could ask for. When you have a run that passes through some of the most beautiful monuments in Europe and includes a medieval Moorish castle as your halfway point, you know it’s worth waking up with a sore body the next day. I wasn’t exactly prepared for this run. I didn’t run at all for the three weeks prior to the event, aside from a couple of really short runs that same week. Plus, I sat in a car for six whole days the week before and the only exercise I got during that time involved bursting open packs of road trip food like biscuits and gummy bears. On top of that, about five days before this event, I caught a virus that ensured food wouldn’t spend too long in my stomach for the next couple of days and, as a result, on the night of the urban trail, I was one real unfit mess. But I was excited. Adrenaline was really the only thing I had going for me that night and it ended up being all I needed. I didn’t run fast and I even had to walk a couple of those hills but, with my reflective yellow shirt and nerdy head torch, I really felt in my element. Having entire streets that I am so familiar with closed off for all of us runners that night, running alongside hundreds of other people in the city I was born in, and seeing entire crowds cheering for us along the way gave me the energy of 100 Gu shots. Portuguese runners, it turns out, are also an amazing bunch of people. At one point, I stopped my iPod and just enjoyed hearing the random conversations going on in the little running groups that kept forming and dissolving along the way. They were all hilarious and cute and witty and I wish I could run with that bunch of people every week. Also, I ran across Rossio and it was all closed off and I could run wherever I wanted and OMFG LISBON IS BEAUTIFUL. I took the GoPro strapped onto my wrist but, as predicted, the excitement made me completely forget about it during the run. Luckily, other people are far smarter than me and so there are some neat photos of the run out there. You can check them out here. So yeah, you get the message. I loved it. I want more night races. More reflective shirts and head torches. More historic streets. Hell, I even want some more of those super steep hills, especially if there’s a medieval castle at the top with a panoramic view of the city where I was born and someone is up there waiting to hand me a muffin (true story). 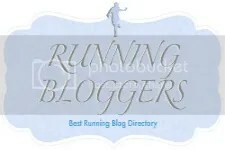 Categories: motherland, running, travel | Tags: fitness, lisboa, lisbon, portugal, running, travel, urban trail | Permalink. Sounds like a great race. Enjoyed reading your re-cap.